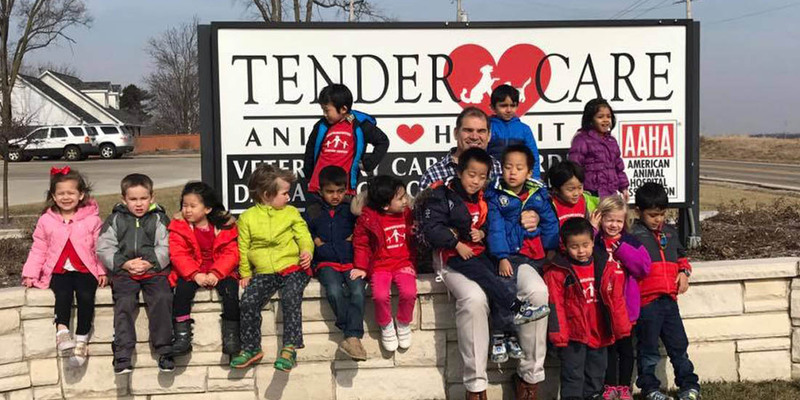 Tender Care offers schools the opportunity for our veterinarians to visit and speak to the students.? This is a great opportunity for staff and students to interact with our veterinary professionals.? Education, training, cases and responsible pet ownership are just some of the topics that can be reviewed.? Looking to take students on a field trip? Our Peoria facility on Route 91 can host tours of the hospital, giving students a first hand look at a veterinary office. Give us a call for more information or to schedule a speaker or field trip. "Simply wonderful....I foster thru Taps and they have treated every dog I brought in there over the past year (and there's a lot) with love and respect!" - Kimberly G.
"Tender Care is such an amazing place from caring for your pets all the way to making them look and feel great! April does grooming for both of our Shih Tzus, and they always look so pretty when she is finished. Huge Thank you to the entire staff at Tender Care for all you do!!" - Katy M.